As our readers know, here at Chronicle Republic we love social media. The world of social has created business and interpersonal opportunities never considered before – it is also what makes our jobs possible! That being said, we are also the first to put our hands up and admit there are some parts of social media that we don’t necessarily love. In a world where so many of us communicate through screens, unfortunately, negativity is more prominent than ever. You don’t have to look far – whether it’s a rude message in your inbox, an unfairly biased Google Review or a nasty comment on Facebook – negativity and ‘hate’ are commonplace online due to anonymity. As such, we’re here to guide you through some ways to respond in these instances, and how best to manage negativity. Firstly, it is imperative to make sure that someone is monitoring your sites for engagement, both good and bad, and ready to act on leveraging positive comments or addressing negatives ones. Ensure you have email notifications for Google Reviews and your social channels set up properly so that nothing gets missed. The best response is always to respond in some way – unanswered feedback gives the impression that you don’t care. When replying to comments, here are some key things to keep in mind. Reinforce company values. By contrasting your customer’s experience with the company policy or what customers normally experience with your company, you are addressing their concerns while also reinforcing your company values, such as 6-star service, integrity etc. If you do not want to give reply to the comment, there are a few other options. Depending on the nature of the comment, you can choose to either hide it or delete it, and you can also block the offending user if you wish. If you hide a comment, it will no longer be visible on your page except to the user who posted it, and their friends. You may choose to hide comments that seem arbitrary, but are not necessarily harmful or offensive. You can also unhide the comment at any time. However, if a comment is harmful or offensive, the best option is to delete it. In our opinion, there is simply no need to tolerate derogatory or hateful comments. Deleting the comment will remove it from your page permanently. You are also given the option to ban offending users from your page, which means they’ll no longer be able to publish to your page, like or comment your page’s posts, message your page or like your page. If a person has a genuine complaint, we don’t suggest deleting it, even if you don’t like it. This could cause the situation to escalate unnecessarily by sending the complainer on a digital rampage. Instead, respond publicly and direct the complainer offline. This shows your customers you care enough to act. Online reviews are often a fantastic way for customers to gauge whether your business or brand will be the right fit for what they need and want. While strong positive feedback will give you an excellent advantage over your competitors, in the same way, negative feedback can also be very damaging, and will speak strongly about your business. When it comes to reviews, it is better to prepare and prevent, rather than repair and repent. 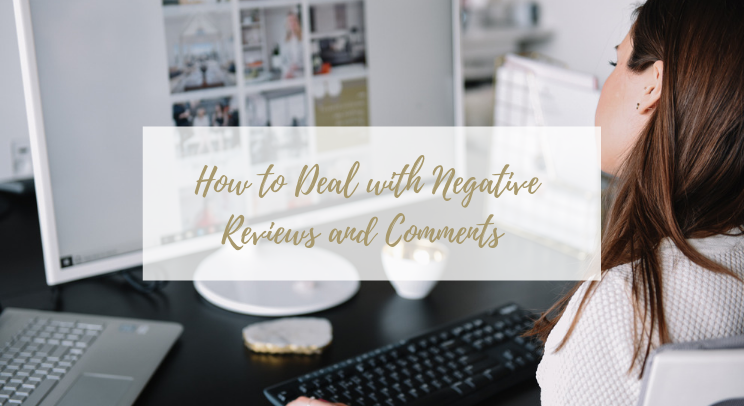 That is, it is easier to generate positive reviews that will serve to overpower the negative, rather than trying to mediate the negative review after the fact. Be proactive about generating positive client reviews and encourage happy customers to leave feedback. However, it is unlikely that legitimate feedback from unhappy customers will be removed. While reviews themselves cannot be deleted, you can disable Facebook reviews from your business page altogether. This will hide all existing reviews and prevent any new ones from being written. Unless you plan to actively acquire positive feedback for your business, consider disabling Facebook Reviews as a preventative strategy.